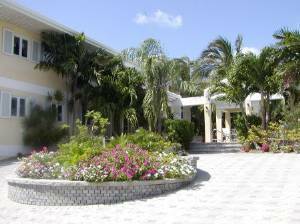 Main Estate by a breezeway; PLUS, a 2 bedroom Guest Cottage with its own swimming pool, for a total of 5800 sq. ft. of living space. Orchid Villa is nestled in a Florida Keys' natural wood hammock where we have our very own butterfly garden with flowers and native fruit trees for our winter and local songbirds. 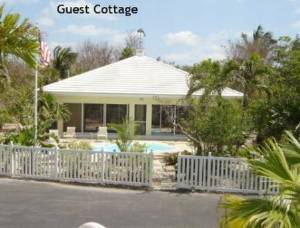 On the water side of this FL Keys luxury vacation rental, you will enjoy watching our Keys' water birds and the sunset views to celebrate another wonderful day in the Florida Keys. 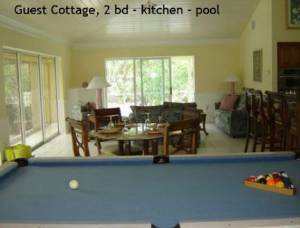 Listed below are the amenities of this awesome Florida Keys Luxury Vacation Rental. Fish cleaning stand with water and electric on dock. 4 feet at low tide boat slips with water and electric. Heated Infinity (disappearing edge) swimming pool. Pool for the Guest Cottage. Multiple patios with lounge chairs, tables and chairs. Boat ramp for flats boats or waverunners, boat dockage. Snorkel the Fl. Keys' water from our dock for lobster in the turtle grass. Fun fishing from our dock for tarpon at night and snappers during the day. Keys' water, sunsets, and this beautiful FL Keys luxury rental property. Custom Cherry cabinets with beautiful detailed woodwork. Granite counter tops with 2 sinks. Breakfast bar in the kitchen with tall bar stools. 36 inch Dual fuel range with 6 burners and custom cherry vent hood. 48 inch refrigerator with ice and water through the door. Separate wall oven and Ultra microwave with convection and crisper settings. Counter top appliances including coffee maker, toaster, blender. Dishes, silverware, glassware including wine glass, pots and pans, baking dishes, etc. Computer desk area with phone and internet connection (hardwire and wireless). Separate dining room which seats 10 people and has waterfront view. Ceiling to floor windows with beautiful entrance door. Entertainment center with 50 inch TV, CD/DVD player. 2 Leather sofas and 2 chairs. Living room has queen sleep sofa. 3 Zone Central AC/Heat system. Ceiling fans in most room. 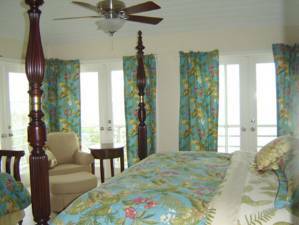 First Floor Master Suite: King Bedroom with water views and Marble bath with shower. 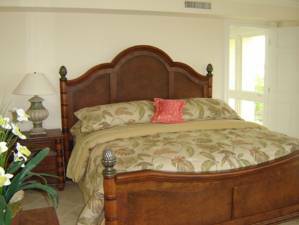 Two Second Floor King Suites: Both have water views and one has a daybed with trundle for 2 additional sleeping spaces. One has separate tub and shower the other has tub/shower combination. Refrigerator with water and ice through the door. Bar area with 4 bar stools. Dishes, silverware, glassware including wine glass, pots and pans, baking dishes,etc. Two bedrooms: one king size bed and the other bedroom, two twin beds. Family room area with pool table. Queen sleeper sofa in Family room. Mini bar, sink, and refrigerator. Separate bait freezer. Four TV's with satellite service including movie channels. DVD/CD players. High speed wireless internet. Free US long distance phone service. 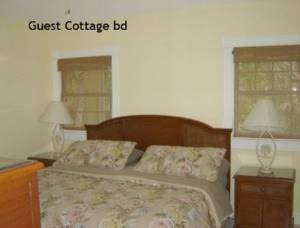 Both washers and dryers, one located in the Main House and the other in the Guest Cottage, include laundry detergent. Soaps at all sinks plus kitchen soaps, toilet paper, and one roll of paper towels. Iron and ironing board. Hair blow dryers. 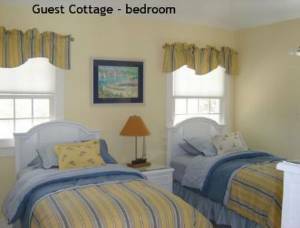 Rentals include linens for bath and bed, plus beach towels. 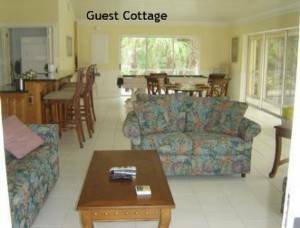 Clean, safe, comfortable Florida Keys rental accommodations.